Whenever you add a new user to Windows 10, the account owner will be shown the Windows Welcome Experience page automatically when they log in for the first time. Sometimes you will even see it on your own account after installing a major upgrade 6 Common Windows Upgrade Issues & How to Fix Them 6 Common Windows Upgrade Issues & How to Fix Them Upgrading Windows 10 can cause a number of complications. We show you what to watch out for and how to prevent or fix issues. Read More . 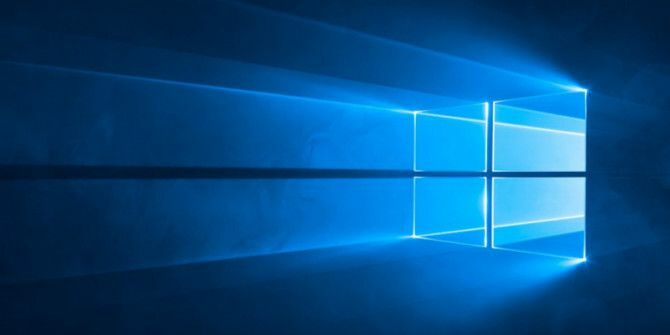 While Microsoft might argue it’s a useful way for you to learn about the newest Windows features 7 New Windows 10 Features You May Have Missed 7 New Windows 10 Features You May Have Missed Every major Windows Update now comes with countless new options and features. Here we cover awesome new features that didn't make the headlines. Read More , for most users, it represents an annoyance. In truth, it’s more of a marketing tool than anything else. And we know how you feel about overt marketing tools. Navigate to HKEY_CURRENT_USER\SOFTWARE\Microsoft\Windows\CurrentVersion\ContentDeliveryManager in the left-hand panel. Have you disabled the Windows Welcome Experience page? Which method did you use? Let us know in the comments below.